Clk is a voltage controlled clock generator with all of the features a master clock needs. It has an extremely wide range from ten seconds between pulses well into audio rate. 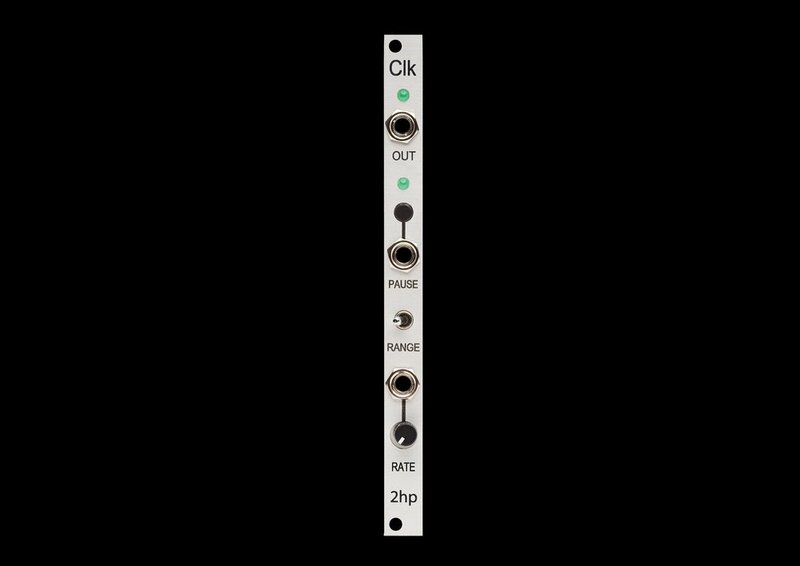 In addition, the pause button and CV input provide an expressive feature that is all too often missing in a modular setup. Stop using LFOs or other modulation sources for your master clock, and let Clk do what it's best at.